Well Stevia is best known as a calorie-free sweetener. But studies in Germany have confirmed that stevia helps cure smoking – and alcohol – addiction. For anti-smoking therapy, buy a small bottle of liquid Stevia at your local health store, every time you feel a need to smoke put one drop on your tongue whenever you feel the desire for a cig. This simple ritual instantly and remarkably kills any craving for a smoke. You can also use it throughout the day in its powdered form if you drink coffee or tea. Stevia not only reduces high blood pressure and cures throat inflammation, it is also a good in the fight against chronic fatigue. White powder (just looking at it, you know it has been processed, just like white sugar). Besides weight gain, ex-smokers often suffer from a dry, hacking cough that comes on suddenly and is accompanied by general anxiety. 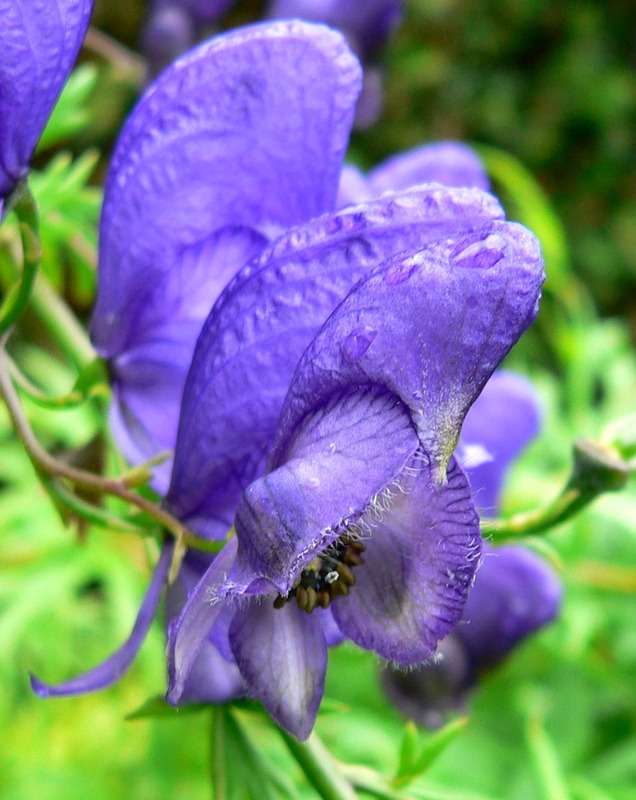 The remedy for this is Aconitum Napellus, otherwise known as the common herb monkshood, a perennial cultivated in the U.S. and Europe. Monkshood should be taken in the 30C or 30x dosage. Any higher dose should be monitored by a health care professional. Remember, homeopathic remedies are not conceived for long-term use, as they trigger the body’s own defense or immune system to take over. Licorice root sticks found in health food stores (the actual licorice root, not the black or red candy) satisfies the oral fixation for cigarette smokers as well as those who chew tobacco. Monkshood is this bluish flower. Lastly, all smokers, ex-smokers and non-smokers should practice deep breathing to exercise the lungs. Please ‘Like’ me FB: http://www.facebook.com/revolutioninhealth = plz like me!